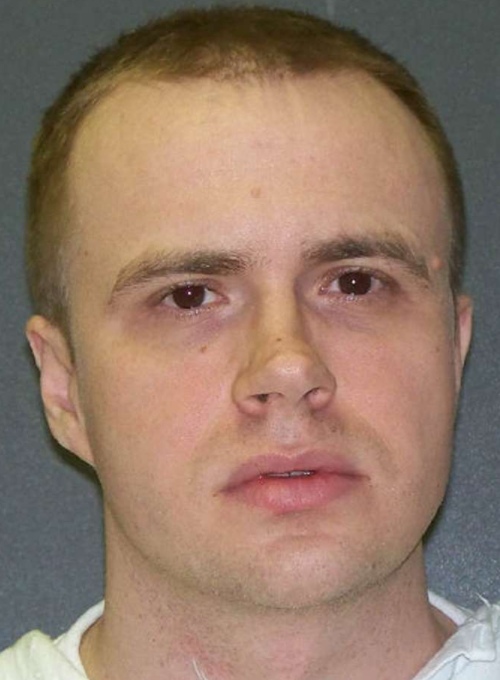 Though no physical evidence links him to the crime, Texas is set to execute Robert Pruett (pictured) on October 12 for the 1999 stabbing death of a state correctional officer who was at the center of a prison corruption investigation. Results of a DNA test of the murder weapon in 2015 found DNA that matched neither Pruett nor the victim, Officer Daniel Nagle. According to Pruett’s pending clemency petition, Officer Nagle was working to identify corrupt correctional officers who had been helping prison gangs launder drug money, and his name was discovered on a secret note from an inmate saying that a prison gang wanted him dead. The unidentified DNA, Pruett’s lawyers suggest, may belong “to the person [who] killed Nagle” and that Pruett was framed for the murder. Earlier on the day he was killed, Officer Nagle had given Pruett a disciplinary write-up for eating a sandwich in an unauthorized area. A bloody shank and a torn-up copy of the disciplinary report were found next to the officer’s body. The prosecution's case turned on dubious testimony from prison informants and the testimony of a forensic analyst that linked the tape wrapped around the handle of the shank used to kill Nagle to the prison craft shop in which Pruett’s cellmate worked. The forensic testimony has since been debunked and, according to the clemency petition, a state investigator’s notes disclosed that a key prison witness—Harold Mitchell—had been promised a transfer to a prison close to his family’s home in Virginia if he testified against Pruett and threatened with being charged with Nagle’s murder if he did not. This is the sixth time Pruett has faced an execution warrant. In April 2015, he received a stay of execution to permit DNA testing and the Texas Court of Criminal Appeals granted a stay in August 2016 so the state courts could have more time to review Pruett's new claims relating to the DNA evidence. However, in April 2017, the Texas appeals court ruled that the DNA test results would not have changed the outcome of his trial. The U.S Supreme Court declined to review Pruett’s case on October 2, permitting the execution to proceed. Texas Gov. Greg Abbott, who has presided over 25 executions since taking office in January 2015, has yet to commute any death sentence. The same day Pruett was indicted, four correctional officers were indicted on federal bribery charges for participating in a drug smuggling ring. (N. Baptiste, "Junk Science? Unreliable Witnesses? No Matter, Texas Plans to Execute Robert Pruett Anyway," Mother Jones, October 10, 2017; J. McCullough, "Days from execution, man convicted in prison guard's murder insists on innocence," The Texas Tribune, October 10, 2017; C. Hoffberger, “Killer or Fall Guy? Was Daniel Nagle murdered by a man acting alone, or was it part of a larger conspiracy?,” The Austin Chronicle, April 24, 2015.) See Innocence and Prosecutorial Misconduct.